My card base has been dry embossed and then lightly inked with SU! Basic Gray. Next is a layer of designer paper over top of some Basic Gray card stock. This layer has been distressed and inked. My wings have been die cut, spritzed with water, crinkled and then heat embossed. I glued on some little rhinestones for a wee bit more bling. You can never have enough bling…right? 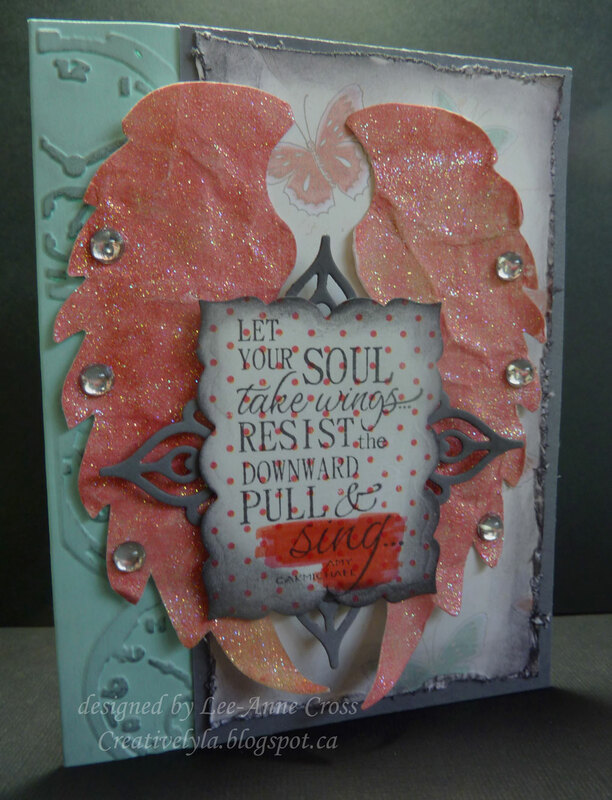 A die cut layered over a die cut for the sentiment. I used a marker to highlight the work sing because I wanted to focus on that. Back soon with more…have a wonderful day!